The Strokes are coming back to Toronto. The band will perform on May 20 at the Budweiser Stage. The show marks the kickoff to the venue's 2019 season, and the opening night show is just the first of many that will take over the outdoor venue until October. 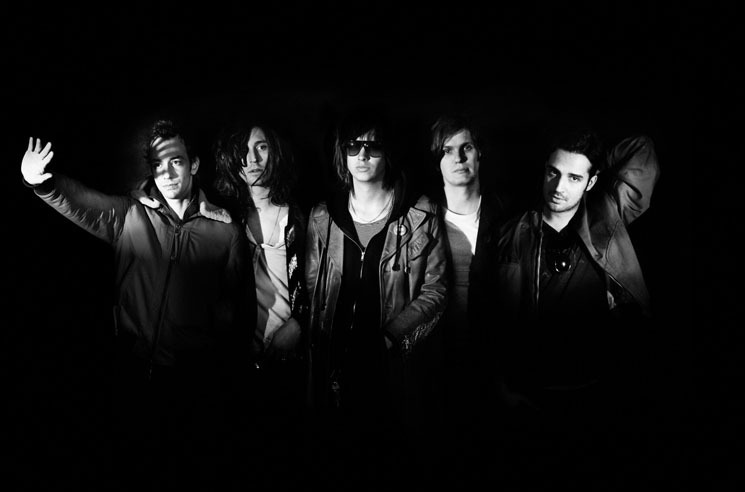 The concert marks the Strokes' only North American standalone date announced so far, but the band will also perform festival sets at Governors Ball and Lollapalooza. Tickets for the Strokes' Toronto concert go on sale March 29 at 10 a.m. EDT, at which time the first-ever season pass to the Budweiser Stage will also be available. Find full information via Live Nation. Other concerts coming up at the venue include Florence and the Machine, Iron Maiden, the 1975, Beck and Cage the Elephant, Arkells, Korn and Alice in Chains, Alexisonfire and many others.